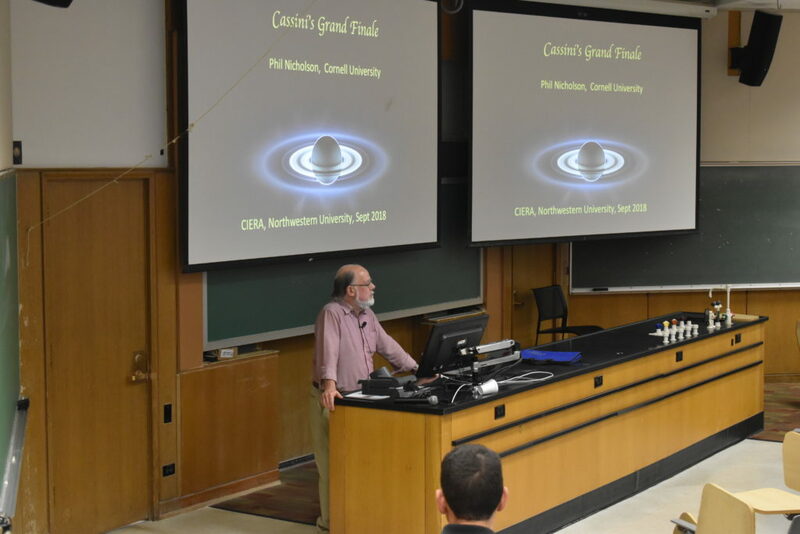 Starting off the 2018-2019 academic year, Phil Nicholson, Professor of Astronomy at Cornell University, presented his talk, Cassini’s Grand Finale to an audience of over 125. 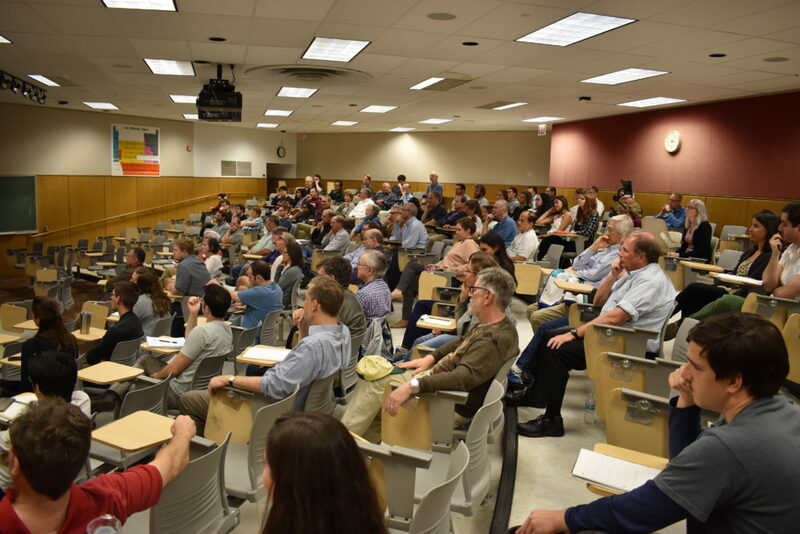 Hosted by CIERA’s Yoram Lithwick and Earth & Planetary Science’s Seth Jacobson, the talk and reception were offered jointly by the two departments. NASA’s Cassini spacecraft entered orbit around Saturn on July 1, 2004, having been launched in October 1997. Since then, it has completed over 290 orbits, executed over 150 satellite flybys and returned hundreds of thousands of images and spectra of the planet and its incomparable rings, as well as data on many of its retinue of 60 satellites. The latter include Titan, the only satellite known to have an atmosphere and lakes on its surface, and Enceladus with its active plumes of water vapor and ice particles. Nicholson explored a few of these scientific highlights. On September 15 of last year, having exhausted its supply of fuel but otherwise in good condition, Cassini completed its mission with a series of orbits that passed between the rings and the planet’s cloud tops, followed by a final plunge into Saturn’s atmosphere. 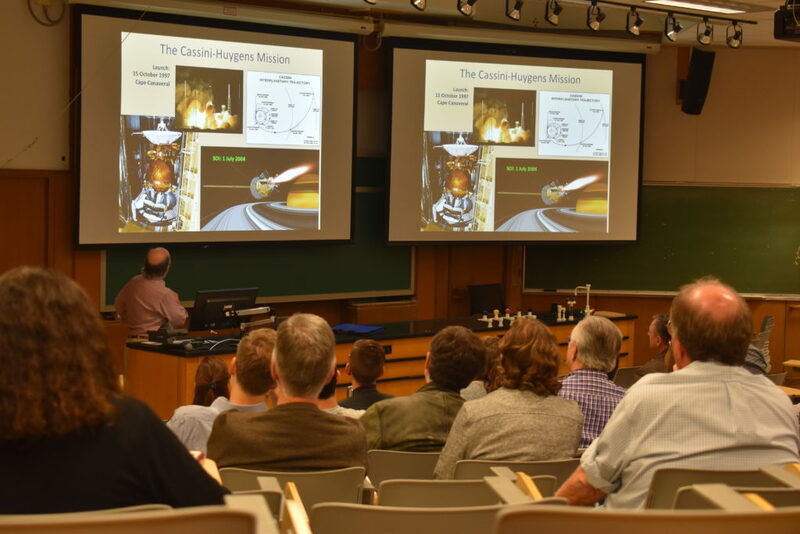 Nicholson summarized what went into the planning of this final phase of the mission and some of the unique science that was accomplished during this period. 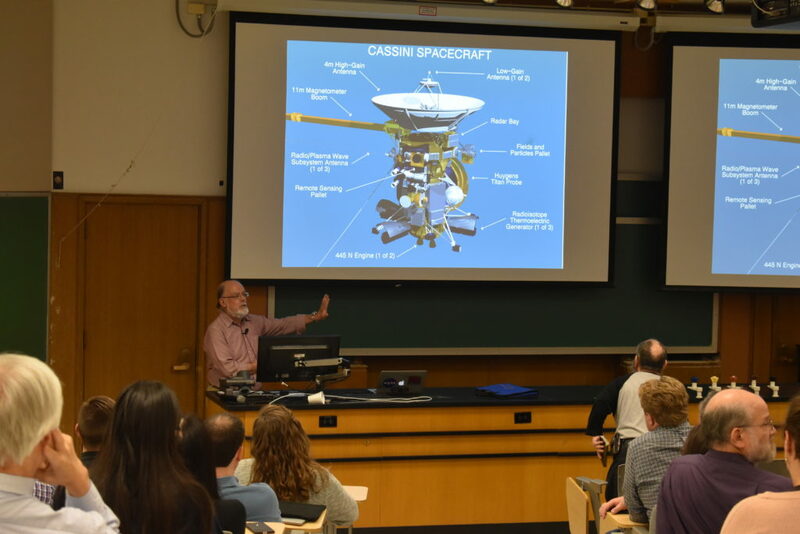 This included the highest-resolution images and spectra ever obtained of the rings and small satellites as well as in situ sampling of the ring environment and the planet’s upper atmosphere and the first high-resolution measurements of Saturn’s gravity and magnetic fields.